The CertaPro story began in 1992 when CertaPro Painters had the vision of making residential and commercial painting services much easier and convenient for both homeowners and business owners. As of today, they claim to be the largest painting contractor in all of North America, with each local CertaPro painter locally operated and owned by a franchisee. How much do CertaPro painters cost? The costs of a CertaPro painter, like any painter, will depend on multiple factors such as the size of your home, what needs to be painted (interior vs. exterior), the height of your ceilings, the type of surface, the geographical location and the time of year. With this many factors, it can be hard to offer an estimate for a job, but we can offer an idea what you may pay if you do decide to hire CertaPro painters based on the information we found through third-party websites. While the official website does not offer exact pricing, they do have a “get free estimate” button located on the front page that you can click and fill out the necessary information to receive a quote from a local painter. As each location is independently owned by a franchisee, you may find the costs for your particular job may vary, but from what we researched, the costs seemed to be in the “middle” of the quotes, meaning you should be prepared to see quotes in the $1.50 per square foot range, with prices greatly higher or lower than this if you decide to hire them for speciality services noted below. One reviewer on this Yelp.com review for the Phoenix location noted he received several quotes and CertaPro came in the middle but ended up choosing them based on the quality and previous jobs he was able to see in person. Another reviewer for the Salt Lake City location on Yelp noted he paid $580 to have two bedrooms with 10-foot high ceilings painted. The services offered, as per the official website, includes a range of services, from custom painting to painting on virtually any surfaces, including stucco, siding and wood, to name a few. EPA RRP Lead Services: If your home was built before 1978, then you will want to make sure you’re working with an EPA RRP Certified contractor, a service that CertaPro offers. 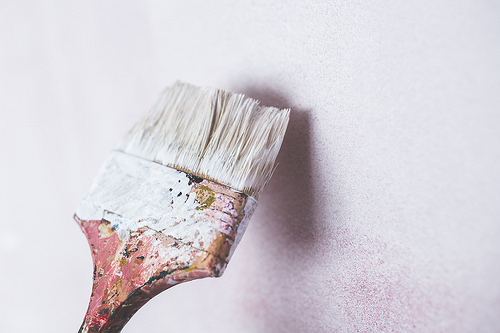 The company claims that when you work with their services, you can be assured that your lead-based paint job will be handled in a safe matter that complies with EPA regulations. Cabinet Refinishing: Instead of outright replacing your kitchen or bathroom cabinets, CertaPro’s service list notes they can remove your hardware, cabinet doors and then completely paint your cabinets to create a fresh, new look. Deck Staining: Aside from painting exterior and interior surfaces, the company also can paint decks, patios, archways and patios around your home, all while protecting it from the outdoor elements. From sealing to staining, CertaPro contractors will make sure your outdoor surfaces last as long as possible. Outdoor jobs, such as these, will include preparing the surface by sanding, power washing the surface to prepare it for staining, sanding the areas to create a smooth surface and finally painting or staining it with a premium paint. Power Washing Services: While CertaPro is primarily known for painting, they do offer power washing only services for surfaces such as wood, bricks, concrete, asphalt and aluminum. Popcorn Ceiling Removal: While popcorn ceilings used to be trendy, many homeowners today look for ways to get rid of it by hiring the pros. CertaPro, as per their services list, offers popcorn ceiling removal as a specialty service. Stucco Repair: If your stucco is beginning to show its age and/or cracking, then the company can repair or replace the surfaces, followed by applying an elastomeric/waterproof to seal the surfaces and finally painting. Wallpaper Removal: CertaPro specialists can install all sorts of wall coverings, aside from the typical paint job. From silk wallpaper to decorative wall borders, the company can consult and install virtually any covering you envision. To get started on your project, the company first asks that you connect them via the company’s official website to fill out the form to gather more information. Once you supply them with project details and contact information, a local CertaPro franchise owner will connect with you and set up a time that’s convenient for your schedule. On the day of your consultation, CertaPro will great a detailed proposal as they walk through your space, taking note of all of the requests you want. They will also get to know your home and you through what’s known as the “Certainty Pledge®” to help customize the way they are going to work with your daily routine. If you do decide to hire CertaPro, then the company will set up a date to start painting and will begin the job according to the project’s detailed proposal. During this time, a job supervisor will manage the team, help deliver updates and tackle any problems which may arise during the job. For your project, CertaPro will wash any necessary areas of the home to remove any dirt and mildew, prep the area by scraping away any loose paint and sanding areas, followed by priming and painting the areas, creating a uniform finish. Once complete, the painting crew will clean up the entire job site and a final inspection follows. Once the job completes, CertaPro will complete a final walk-through inspection, with the possibility of a quality assurance team contacting you after the project completes to gather feedback on the final results and your overall experience.